It’s summer and our thoughts turn to spending time at the beach. And when we go to the beach it’s fun to take a good summer read along. I love listening to National Public Radio, more commonly known as NPR. They have the most fascinating programs, in my opinion, you can find anywhere. Want some great book lists? They have those, too. Just go to http://www.npr.org and you will find a plethora of good reads! Here’s one example: http://www.npr.org/2014/06/11/321053916/summer-reading-three-books-to-take-you-to-new-frontiers. These are three books that are guaranteed to take you far away from home: Rohan Wilson’s novel, “The Roving Party”, Kseniya Melnick’s story, “Snow in May,” and “Point of Direction” by Rachel Weaver. And this is just the beginning! Local radio host on KQED, Michael Krasny, offers up another list from listeners. Head on over to: http://www.kqed.org/a/forum/R201406031000 and you will find quite a variety of suggestions. If you are looking for suggestions for kids, NPR has that covered too. Last year they published this list of 100 must reads for kids 9-14: http://www.npr.org/2013/08/05/207315023/the-ultimate-backseat-bookshelf-100-must-reads-for-kids-9-14. Keep on checking NPR. More 2014 lists will be coming. This summer you have no excuse for not finding a good book to read! And don’t forget to visit the library and play our summer reading game: Paws to Read. You’ll get rewards for all that summer reading you are doing! In honor of the Summer Reading Game I decided to post a few favorite bug links. Here is a virtual tour of An insect Zoo. Did You Know that 41 states have official state Insects ? Insect Lore is made just for kids and has a daily giggle just for fun. 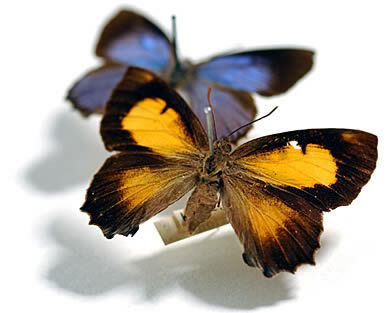 Katerpillars is another place where you can learn about insects. Here are some Bug Crafts you can do this summer. Not enough? All summer long you can check out the Alameda County Summer Reading Blog – Catch The Summer Reading Bug! – For more buggy fun! What are you favorite Bug Sites?